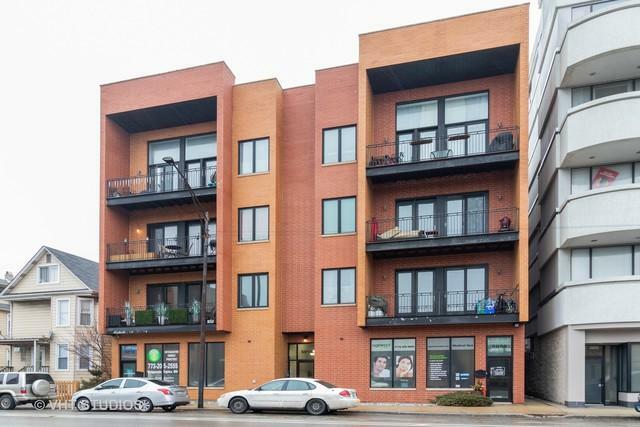 Sun Filled 3 bed 2 bath PENTHOUSE condo includes an open floor plan, short walk to the Blue line, & access to 90/94. 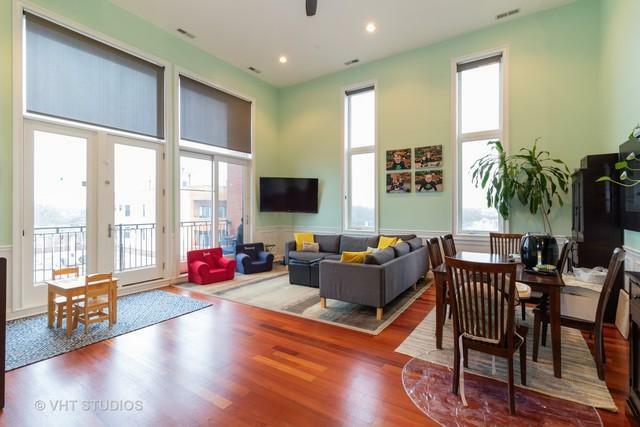 Elevator building, indoor garage parking, balcony boasts skyline views, 15 foot ceilings, & Hardwood floors throughout. 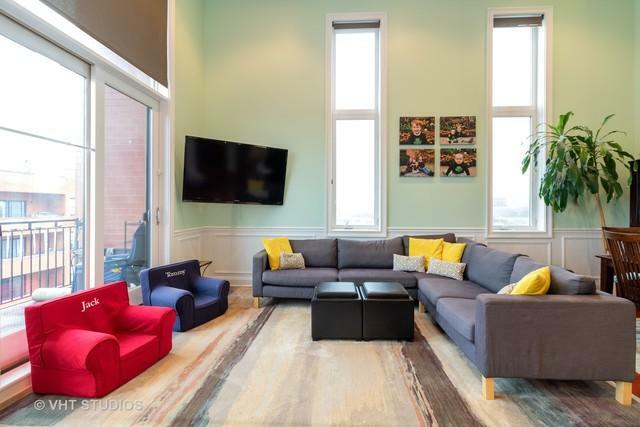 Massive living spaces include dining area, or nook for office with plenty of natural light. Master suite includes walk in closet, dual vanity sinks, Jacuzzi tub, & stand up shower with body jets. All bedrooms have custom closet organizers for added space, custom blackout, or privacy shades, ceilings. 2 Huge additional bedrooms - see floor plan. 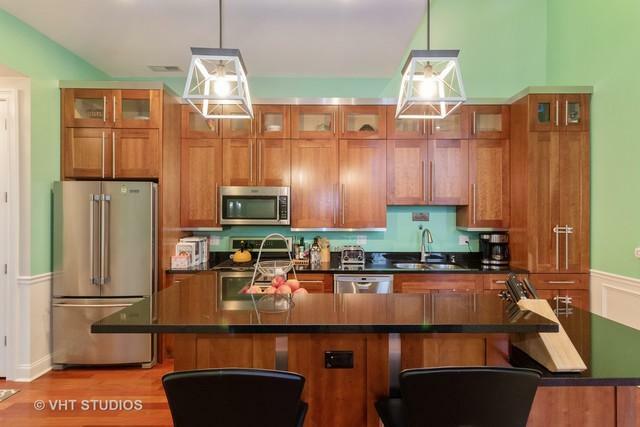 Kitchen includes 42" custom cherry cabinets w/custom LED lights, NEW 2016 Stainless Steel appliances, granite countertops, new fixtures & a wine cooler, sit at the counter or space for table. In-unit FULL Washer & Dryer... Enjoy your own 25X19 deeded private roof top deck. Roof was refinished Summer 2018. Move in Ready!!! Close to shopping, restaurants, and entertainment. Very unique and impressive, a must see! !